X-1 is one of the world’s most compact currency discriminators with a full Stacker pocket and dedicated 50 bills reject pocket. 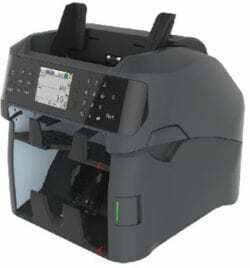 It is equipped with Smart & most comprehensive user-friendly functions for front bank tellers and retail cashiers and best suitable for uses of 1 million up to 2 million banknote pieces a year. 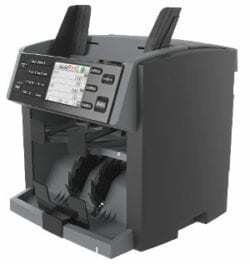 With an ergonomic design, 3.5″ large color LCD, and symbolic user-interface, the X-1 not only provides users trouble-free operation at a speed up to 1000 bills per minute, but also allows uninterrupted counting with increase productivity that all customers desire. While X-1 includes most sophisticated user-friendly operating interface with various modes if operation for non-interrupted functionality, it also includes some important features that stands out among many of our close competitors in the market place. Noise Reduction aspect: Counting speed at 1000 rpm and 1 meter away from machine, it was measured to have noise level at 70 dB in average. For years of development, X-1 was able to reduce operation noise by 10dB than most of our competitors making it to be the quietest machine in the market since 2013! Foot-Print aspect: Due to limited space at bank tellers desk, smaller footprint of a desktop equipment is always been the desire. While developing X-1 model, serious consideration was given to smaller footprint than competitors while not compromising overall performance and quality. Yes, while X-1 is very similar in dimension as some other comparable 1.5 pocket machines in the market, X-1 is indeed shorter in height – making is easier to operate on the hopper area to feed bills. Bill transport path aspect: Banknote is one of the most difficult documents for transporting towards it’s path to stacker and divert to reject pocket since banknotes are compises of various quality and conditions. It has been proven for many years that shorter bill path does not necessarily means system can process banknotes at a higher speed without potential jamming and tearing of banknotes along the way; further it tends to create more operational disturbance. 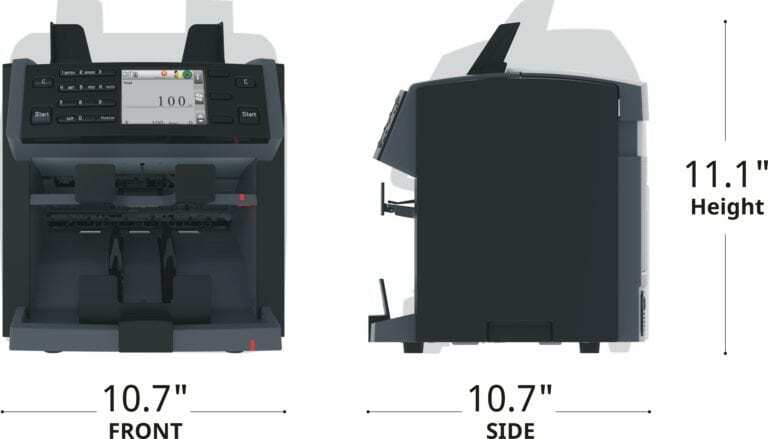 For medium duty X-1 model, it is equipped with 205mm bill path, which is 15% shorter than even our closest 1.5 pocket machine competitor, while having more rollers to ensure successful and error-free and trouble-free banknote transport.